Storing matcha is a very important subject for matcha tea connoisseurs and should be well understood to get the most from your matcha. Green teas generally need to be protected from heat, humidity, strong odors, sunlight and artificial light. Matcha connoisseurs should be well versed in how to store matcha green tea. If matcha is exposed to the above mentioned forces, the color and taste of the matcha tea can suffer and diminish. The same holds true for matcha green tea. 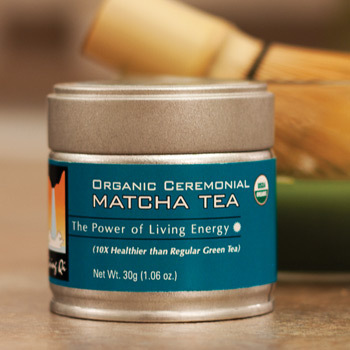 Living Qi organic matcha is stored in vacuum sealed pull-top cans. Our cans have an expiration date on the bottom, but if they are unopened, they will last well beyond this date, which is typically one year from the time that the matcha was sealed in the canister. Your airtight can of organic matcha can be stored in a cool dry place, the refrigerator, or the freezer. We recommend using a can of our Living Qi organic matcha in a month or less from the time you open a can. Once you open a can of matcha, it is best to keep it in the refrigerator. Let the can of matcha return to room temperature before opening the can for use. If you store matcha in the freezer, it will keep well beyond the expiration date. Storing matcha in the freezer is a good idea, if you do not plan on using it quickly. After you remove your matcha from the freezer, make sure it returns to room temperature before use. And remember, do not let your matcha get wet. To order the finest organic matcha green tea in the world, visit our shop.